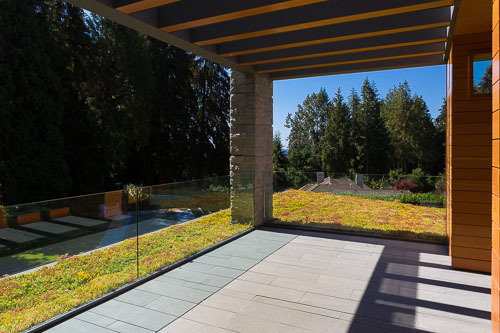 Walkway that absorbs 1 inch of rainwater. 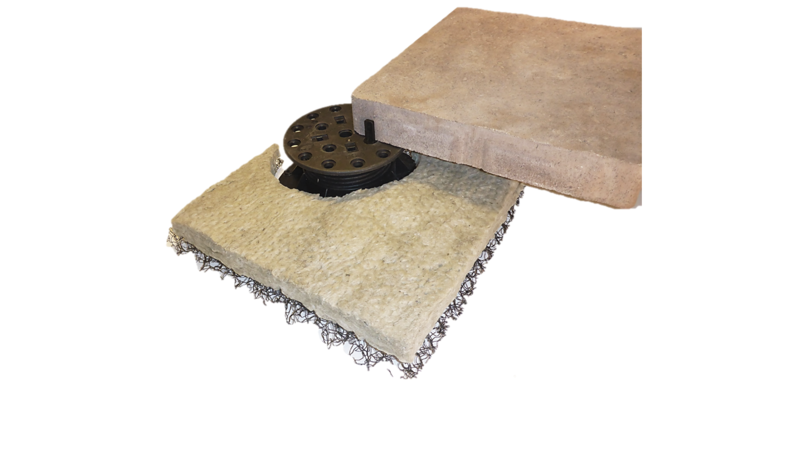 The SpongePaver™ System incorporates the Needled Mineral Hydro Blanket with a drainage mat under a traditional paver to offer a unique solution to control stormwater runoff at the roof level. The Hydro Blanket is a ground-breaking development manufactured without chemical binders resulting in long term dimensional stability and reliable stormwater management performance. Rainfall percolates through the paver joints and is absorbed by the Hydro Blanket. The drainage layer provides air flow and facilitates the evaporation process which in turn cools the pavement surface and surrounding air, helping reduce the heat island effect. This drying process also allows the Hydro Blanket to absorb more water in the subsequent rainfall. Hydro Blanket and drainage mat are conveniently pre-cut and notched to fit pavers and around pedestals. Hydro Blanket is non-combustible. No added flame retardants required.